If you’ve never made coffee on a La Marzocco Linea Mini, put it on your bucket list! La Marzocco have hit the ball out of the park with this home espresso machine. It’s literally the same quality as the commercial grade La Marzocco we use at White Horse Coffee and is a pleasure to use. 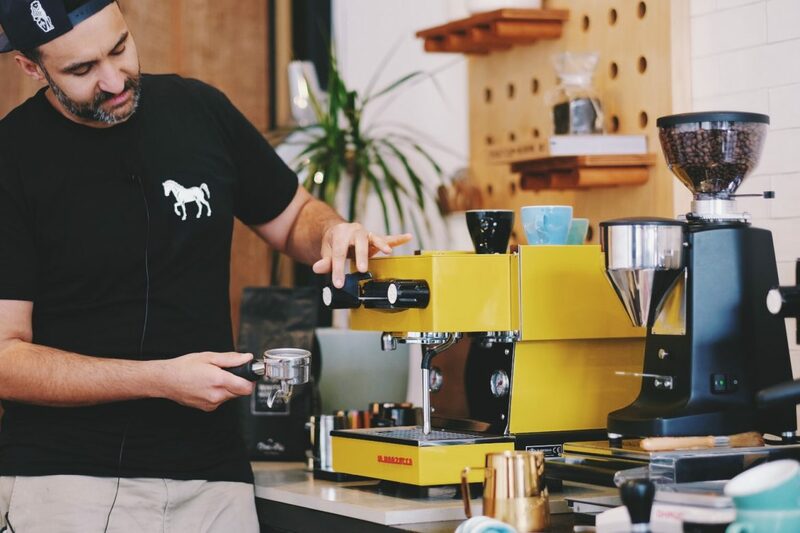 A little while ago I visited La Marzocco Sydney HQ to take it for a test run. One of the coffees I made on the Linea Mini was a long black and seeing we’ve had a lot of customers ask us how to make a great long black at home, we filmed it for you to follow along. You can watch the video and see the recipe below. 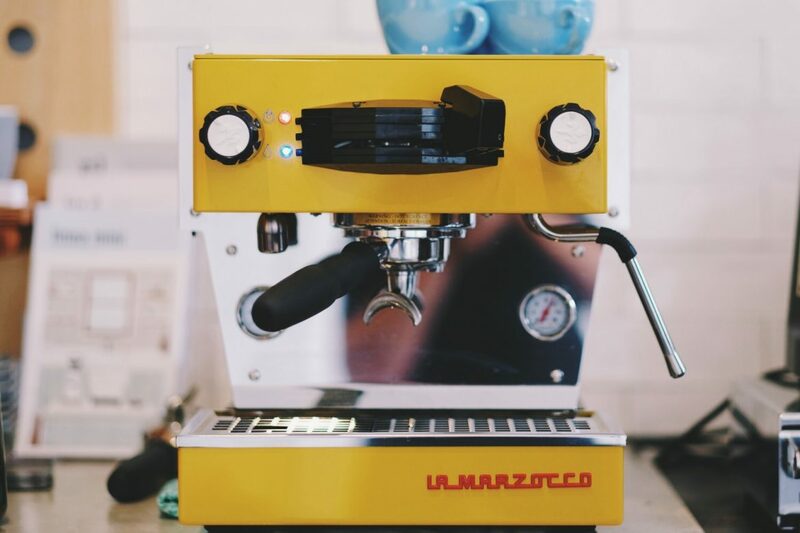 Maybe even more memorable than brewing on the yellow mini was the coffee I made on it. Wow, I never knew White Horse Coffee could be so good! It’s worth mentioning that I ground the coffee using a Mazzer Mini. I’ve bought and sold these grinders over many years and the coffee I made that day was a reminder why these grinders are so well regarded. However, I truly believe any grinder you put White Horse Coffee into will make a delicious cup. This Mini machine of wonders has a few neat features I wish we had on our commercial machines. One feature I really like is the water temp dial on the side of the machine. 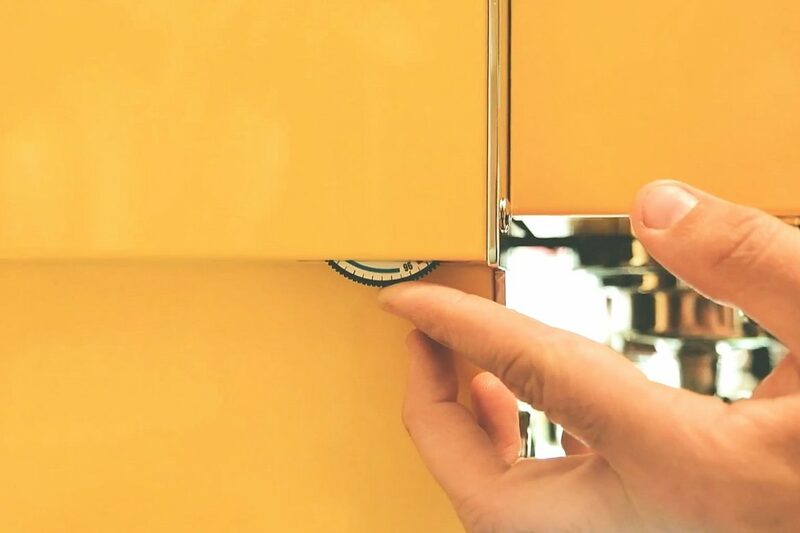 This enables you to change your brew temp and gives you the ability to play with various tastes and flavours by adjusting the temperature with a simple turn of a dial. I wish we had such ease of control at work. The machine is constructed with precision like an Italian sports car. The finish of the panels and the group lever for activating water at the head are both first class. Try one out one day, you will be impressed. Don’t forget to watch the short video we filmed (above) at the Sydney La Marzocco Headquarters and see the LM Mini in action. Thanks for reading this article, I hope it helps you brew a delicious long black at home. Now, I’m off to brew an AeroPress at home while I save up for my Linea Mini. Hey Dom, do you have any advice on where to buy a linea mini? Ideally second hand. Apologies, only just saw this message. The only place I know is directly through La Marzocco. I don’t think there are many second-hand ones available as people tend to keep them for a long time. How did you go? Did you find one? I have a question for you Dom, since La Marzocco mini temperature dial doesn’t come with numbers a part from that 96, what temperature you would recommend to keep? And which side should I turn the dial? Hello Pedro. To be honest it’s been some time since I used the machine and am uncertain of the notches and effect in the dial. But if 96 is maximum I’d recommend one or two notches back from 96 as, La Marzocco tends to brew 2-3 degrees cooler at the head. And I like a solid 93 degrees for the majority of the extraction. If I get to brew on another linea mini soon I’ll put a scace meter on it and give you some detailed data on the brew heat temp curve. Thanks Pedro.